Electionbuddy is designed to be usable for bylaw amendments or article changes! Proceed forward to the "Ballot" stage of setup, and click the "+ Add position or question" button. From the window that appears, select "Yes or No". You could also use the "Referendum or Polls" option; you just want to ensure that your voting method is set to "Plurality". 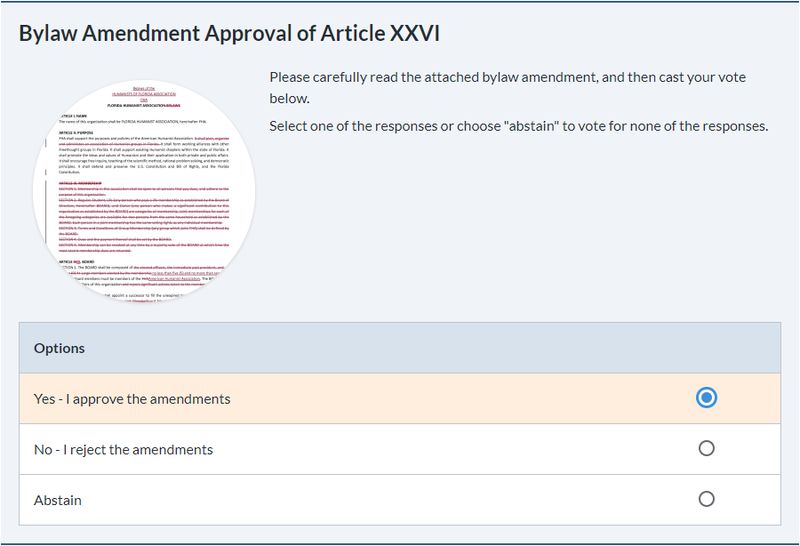 When you choose "Yes or No", two options are auto-generated: “Yes - I approve the amendments” and “No - I reject the amendments”. You can change the wording of these two options if you would like. 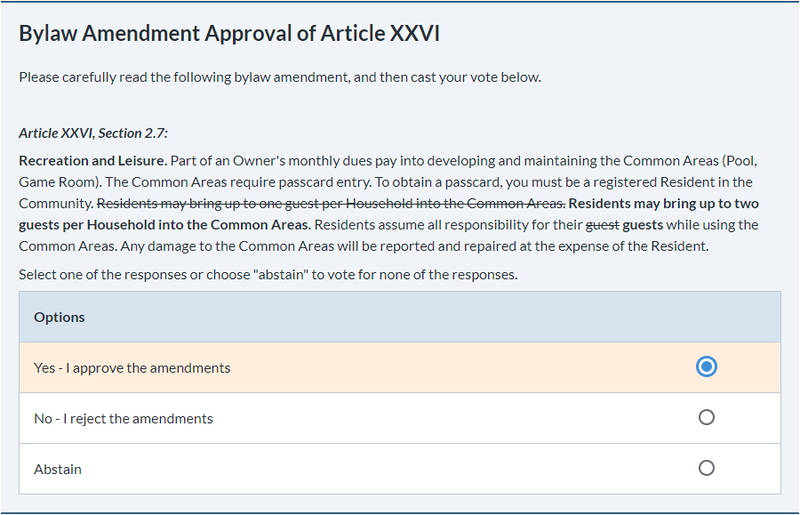 While it may seem anti-intuitive to "Abstain" on a bylaw amendment — your voters will probably either agree, or disagree, with the changes — there may be some that do not want to cast a vote either way, but can still contribute to your quorum. Check "Allow Abstain" to create an abstain option on the ballot to catch some of those extraneous votes. 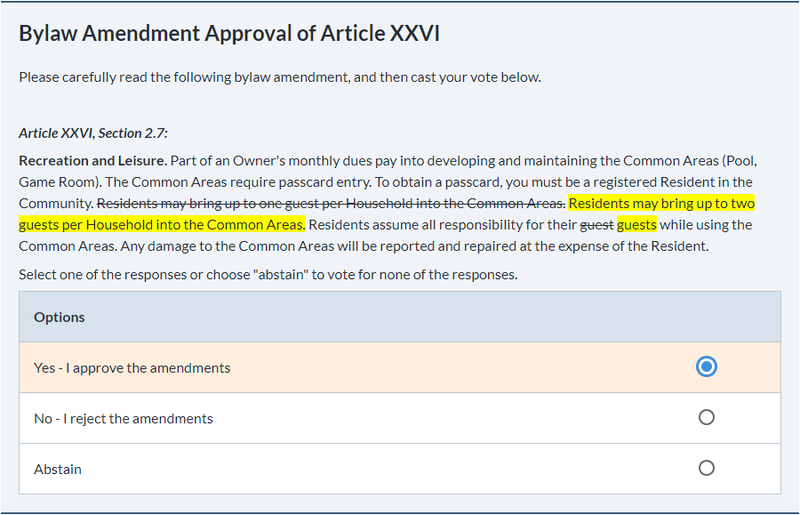 Add information for each of your bylaw changes by clicking on "Add question information", and adding text which outlines the changes, adding links back to your website, or uploading a document/picture to the ballot. You can also include additional information, or additional instructions, in the "Voter Instructions" box, underneath the "Settings" bar. Use the rich text editor to format your bylaw text. Feel free to use the ideas from the ballots below! Please reach out to us if you have any further questions on this topic!